My name is Keith Paterson. If you have any questions related to computer problems or this website please email me by clicking HERE. Although I will do what I can to help, I give no guarantees and stress that you must take responsibility for changes you make to your computer. 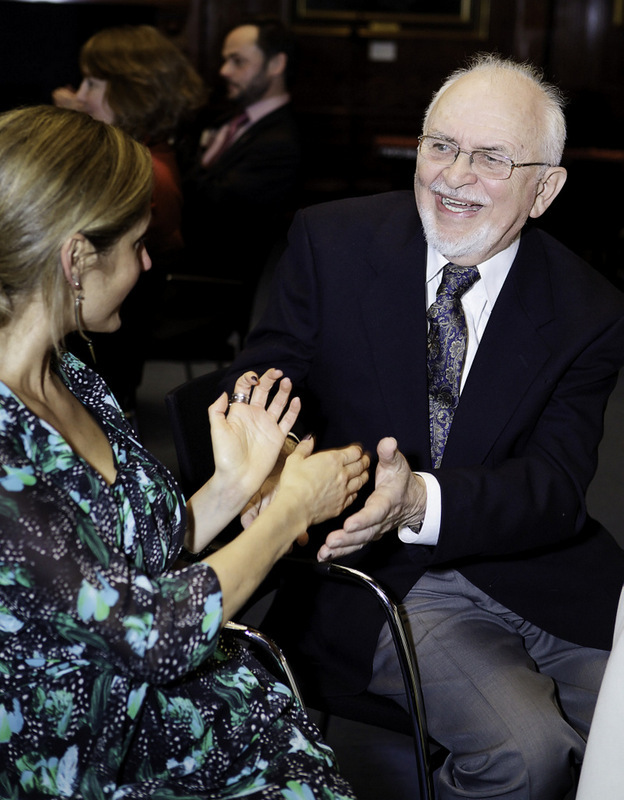 I continue to encourage older people to get connected and will do so until I drop ! "Hello again, Just realised that I'm now a multi computer silverhair. A HUDL2 tablet for quick browsing, email checking, listening to radio, etc, Chromebook for documents, photo and video editing and old laptop for scanning and printing. Would never have thought I'd have got this far when I bought your little book all those years ago! What a great buy!" "Mr Paterson is the most helpful man I know. He will try and solve your computer/laptop/ipad problem if he can... his web site is most helpful for anything you want to know and he keeps it up to date on a wide range of things ....if you have any tips on computers/laptops/iPads let him know he will print them for others to see .....I wish him luck in all he does" . Dolly.B. "As a senior citizen I often find I need help and/or advice on matters ranging from “my PC is playing up” to financial or life style. Whilst I could pose a suitably worded question to Google I don’t do that as I am daunted by the 3 million or so alternate sources. Instead I go to Silverhairs where I am bound to solve the question I need answering. 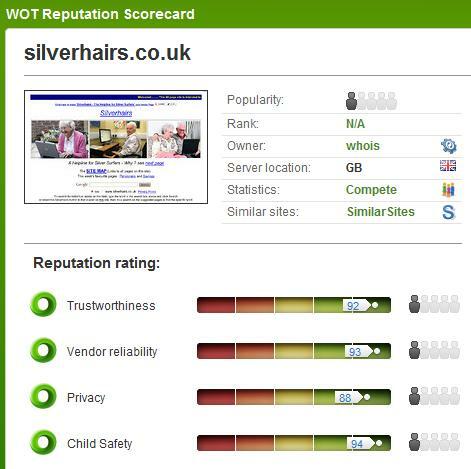 Silverhairs is an excellent source of information for folks of any age". 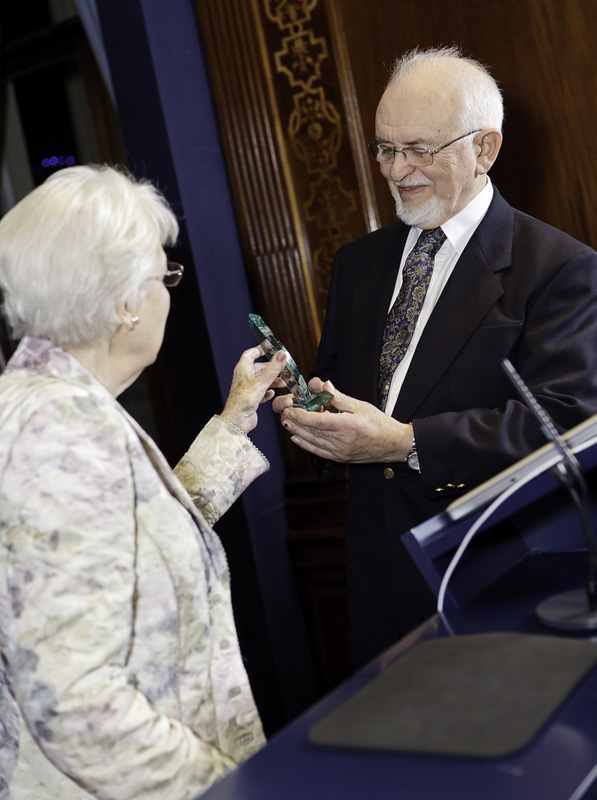 David L.
Martha Lane Fox has been elevated to the House of Lords for her work in the promotion of the use if the Internet, especially among older people. An OFCOM report says : The number of people aged 65 and over accessing the internet has risen by more than a quarter in the past year, driven by a three-fold increase in the use of tablet computers. This has helped to drive overall internet use up from 79% of UK adults in 2012 to 83% in 2013.
http://www.bbc.co.uk/news/uk-27577143 Internet Training would help alleviate lonliness article. I know, I know ! In 2012 I was voted National Internet Champion by AgeUk. See AgeUK. Then in May I was honoured by the National Digital 2012 Conference to be awarded the title of Digital Leader for my work in helping older people with their computing. I am firmly committed to the philosophy of getting as many people on line as possible. 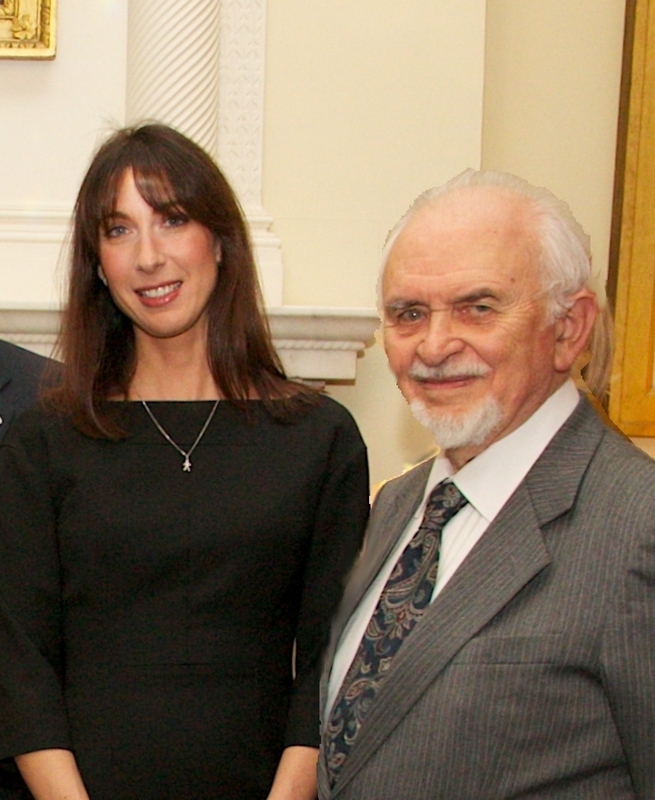 Then, to cap it all, I was invited to meet Samantha Cameron at 10 Downing Street. Here I am explaining why I found Skype was good for communication. I can see, hear and, if all else fails, read what people type ! 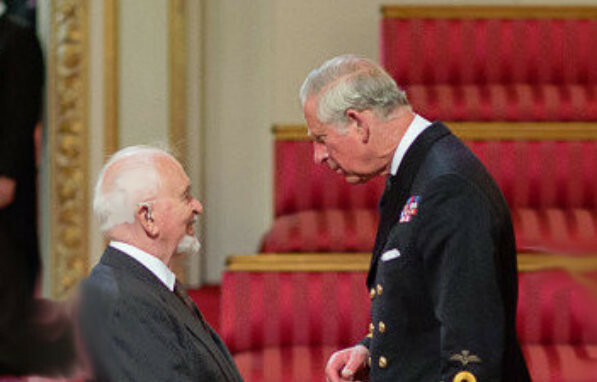 Then in 2015 I was pleased (nay, amazed) to be awarded an MBE for my work in helping older people get on line. So why do I do it ? Well, it is a great hobby for an 85 year old but it is wonderful to get messages from people who I have pointed in the right direction when they have had a serious computer problem. For more information about how Age UK can help you get online and develop your on line skills visit www.ageuk.org.uk/it, call 0800 169 65 65, or contact your local Age UK. Figures from the Office of National Statistics show an encouraging trend. 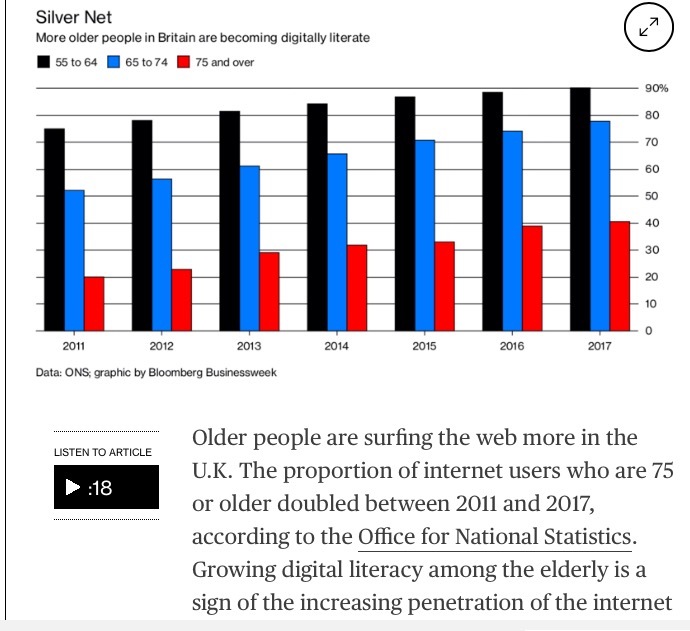 Although 98.6%, of younger people (7.16 million) use the net, the largest fall in people who have never used it was among those aged 75 and over, where there has been a significant drop non-users. I believe that the popularity of TABLET computers has been a great help in this respect.. It is a pity that getting on line and the monthly cost of the connection will still be putting many off. Once they commit to that they are hooked. To find a computer centre click on http://www.ukonlinecentres.com/centresearch/ and enter your postcode. Many are in public libraries. "Are you bored, lonely, and unable to get out and about much? Maybe you should consider getting a computer, I did, and now I can communicate with people all over the world, get my shopping delivered whenever I choose, go into to a chat room where it doesn’t matter if you are a bit deaf (you don’t have to keep saying ‘pardon’ ).I bought most of my Christmas presents on-line, mostly cheaper than in the shops and delivered within a few days, (no heavy shopping to carry). If you have a digital camera you can transfer your photos and print them or save them to a disc, you can even look at them on TV. If you have friends or relatives abroad you can chat to them face to face and send them photos within a few minutes of taking them, and if you are really keen on photography you can edit your photos, make calendars and even make your own videos. Personally the part I enjoy most is chatting to my friends on-line, I have friends all over the UK, as well as in Spain, America, Australia and in fact all over the world, we exchange views on different subjects and are there for each other through the bad and the good times, I had a fantastic 80th birthday party down in Paignton with about 20 of my friends from all over the country, its amazing how you feel you have known them for years once you meet up. We exchange news and ideas on craft materials as a few of us like to make greeting cards, (we can make the inserts or even the whole card on our computers) we talk about our families and our problems, its absolutely great being there for each other. If you prefer sending letters rather than e mails (electronic mail) you can type them and print them out, very handy if your handwriting has deteriorated over the years. These are just a few of the things you can do,. You will find other things as you go along. It's never ending; you can even play games on your computer. Oh, I almost forgot, if I want information about anything, I just go to Google, type in a keyword, (health, travel, gardening) anything at all and there you are, all there at your fingertips, brilliant! 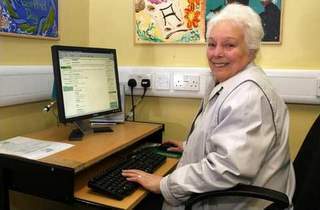 I also attended classes up to last August when I passed the ECDL exam, not bad at 83 years old". 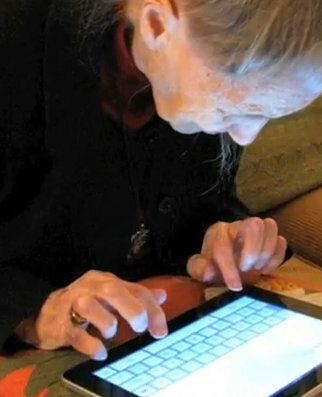 "The Oldest Twitter in Town " is Ivy Bean, who started to use the 'chat' site Twitter at the age of 103 ! She became bored with Facebook, having accumulated 4,800 friends ! Age UK) (click on it) produce various books such as "How to be a Silver Surfer", "Computing for Beginners", "Everyday Computing" as well as a number of other useful publications. One disabled person wrote "When I use my computer, I can forget my disabilities and concentrate solely on my capabilities. Instead of staring out of the window watching the world go by without me, I can travel, shop and go to the cinema all in the same day. Now that's what I call progress." Yes, indeed. The development of the human species depends on knowledge. Books have been a tremendous help for the last 2000 years and the burning of the great library in Alexandria set us back years. But now, with the Internet, I can find out almost anything I want to know when I want to know it. I don't get information overload by having to read for hours. All I have to do is put a word or two into a Google Search (see top of the last page), whether it is a medical question, or a musical one, a matter of history or one of science. It is all there in one gigantic index which is updated every day. When I discovered an IBM PC in 1982 I thought, then, that it had great potential. But I did not realise that it would be such a powerful influence for enlightenment for people from Alaska to Zanzibar regardless of language barriers. I believe that there are many older people out there who are keen to use computers but who would like some sympathetic help from someone who understands their situation. 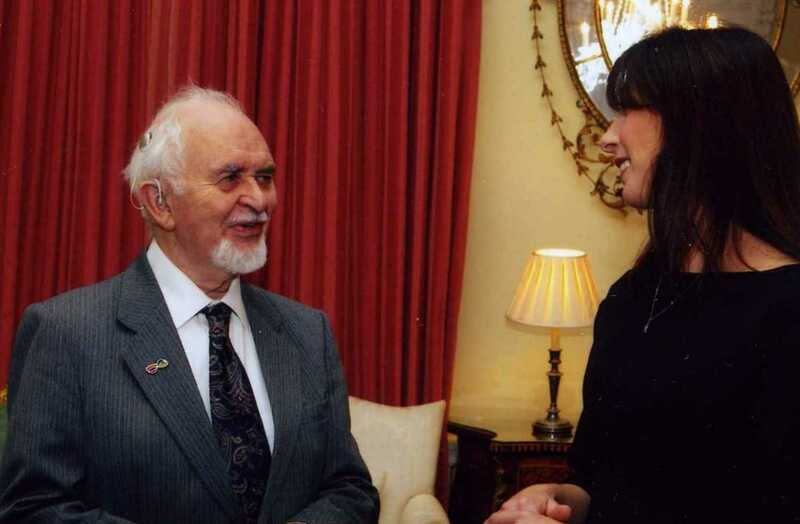 I also believe that there are good reasons why older people WANT to get involved. Mind you, comments like this do help "I've just spent a good hour on your site......its brilliant!!!! (I am familiar with Fred Langa and am pleased to see that you are too). I'll be forwarding the link to all my silver surfer friends." "I came across your site a few months ago and I must say it's the best 'oldies' site on the web. It contains vast amounts of information, written in plain English, that I can understand (mostly). Many thanks for all the work you put in." or do a title for her videos - she is good at video editing. or email all the people she forgot to send Christmas cards to. or to Skype/phone those relatives in Brisbane - 30 minutes, clear as a bell and at no cost. or do a map and email it to visitors. Since the Internet really got underway in 1994 the number using it worldwide had risen to over 3 billion! 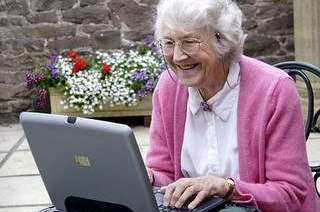 In a survey by Age Concern (now AgeUK) and Microsoft, most over 50's said that the Internet had made a positive difference to their lives, with e-mail being voted the most important function by 90 percent of the group. 45% said health sites were important. Check out my Health Site Page page for health site links. Another survey showed that 62% of the over 55's surveyed used e-mail to keep in touch with their children or as they say "money isn't everything but it keeps you in touch with your children ! " See more like this on the Jokes page. For people with poor vision I suggest that the EASIEST way (on a PC) is to make the text larger by holding down the Ctrl key and pressing the + key. To reduce it press Ctl and the - key You may find that the setting remains even after you have shut down. Press Ctl + Zero (at the top) to return the page to normal size. Alternatively, use CTL and a scroll wheel on a mouse. OR you can change the size and style of web page type. In Internet Explorer click Tools, Internet Options, Fonts and also View, Text size. With Start, Settings, Control Panel, Accessibility Options you can experiment with the Display Settings and High Contrast. The shortcut to turn this on or off is LEFT ALT+LEFT SHIFT+PRINT SCREEN. Internet Explorer has a zoom option on the bottom right of each website screen. In addition Windows provides a magnifier which is turned on by going to Start, Run and typing Magnify and clicking OK.
You can try setting the screen resolution no higher than 800 x 600. Right click a space on the desktop, Properties, Settings and move the slider to the left. Everything will be bigger. Later Windows have a Speech Recognition program. See Windows Key + U then 'Using the PC without a mouse or keyboard.. Start by printing the list of commands. It can even be used to open and run programs. I am very deaf but find that speech on an iPad (text to speech or other speech) clearer than a TV or radio. 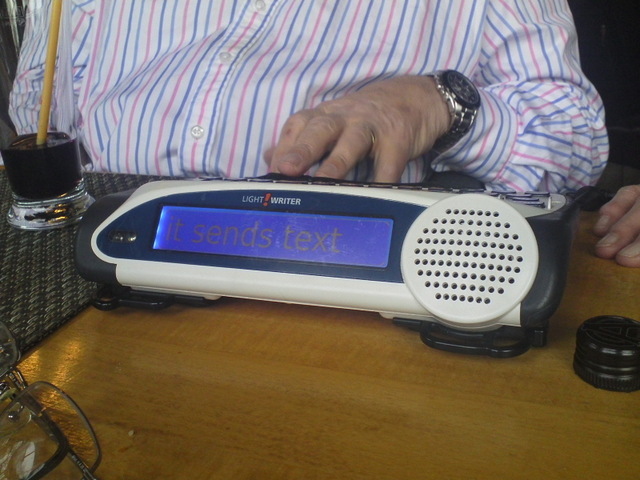 It is suggested the blind and partially sighted people should get a page reader. Later Windows and tablets have a tolerably good 'narrator' with adjustable voices, pitch and speed. Or you can download one from www.browsealoud.com or a new one called Thunder from www.screenreader.net And, if you use Firefox as your browser take a look at http://www.firevox.clcworld.net/about.html, the developer of Fire Vox, the screen reader for Firefox. For this reason all graphics on this site have alternative text, if you hover the mouse over a picture. Incidentally, Audio Description (AD) - an extra commentary describing body language, expressions and movements - may be available on digital TV and in some theatres and cinemas.